Probably for the first time since my daughter was born in 2001, I saw two grown-up movies in the course of a single week. It’s very exciting, isn’t it? Especially since I can now narcissistically tell you what I thought of them. First there is Julie & Julia. Several years ago I was at an interdependent book sellers conference. About two dozen writers were gong to spend the evening visiting with a ballroom full of booksellers wile they ate their dinner. We would move from table to table, shifting with each course, so all the writers ate together first so we could market ourselves more effectively while the booksellers chewed. I sat down next to a friendly woman who I liked because she used to live near my own former Queens neighborhood. I asked her about her book, which is what you do in those circumstances, and she told me it was a collection of her blog postings in which she spent a year cooking out of Julia Child’s landmark cookbook. I politely told her book sounded great, but I honestly thought it was the stupidest idea I’d ever heard. What kind of moron, I wondered, would buy such a book? Who would care about a woman so self absorbed the thought other people ought to be interested in reading about her cooking out of a cookbook. I can’t answer these questions specifically, but I can say that there were lots of people who cared, moron or otherwise. The next time I saw Julie Powell she was one of the judges on Iron Chef America. I’ve never been a judge on Iron Chef America, and her book was made into a movie before any of mine, so she wins. 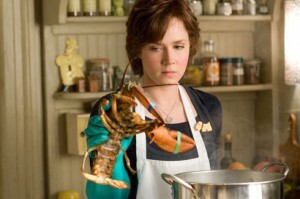 No real lobsters were harmed during the filming of this movie. Really. As for the movie itself, I won’t say it was horrible, but it was certainly not good. For those of you who don’t know anything about it, the film switches between Julie Powell’s story and Julia Child’s, and while both sections have their problems, it is certainly the Julie Powell narrative that is the weaker of the two. I have generally find Amy Adams, who plays Powell, to be fairly charismatic, but in this movie she has either gone beyond her own natural range or she was directed very badly. I suspect the latter. Director Nora Ephron, whose name, let’s face it, sounds like a precursor ingredient for the production of meth (not that it matters – I just think it’s time someone pointed this out) appears to be trying to relive the insipid glory days of You’ve Got Mail by encouraging Adams to channel her inner Meg Ryan – with unsatisfying results. Adams is so cutsie you want drown her in keg of cream sauce (with port). Chris Messina, who plays her husband, is constantly talking with his mouth full – I guess to show how good the food is or something, but the effect is unpleasant — and uncouth. The whole movie is full of slurping, chewing, lip-smacking yummy noises that made me cringe. Beyond that, the story is far too flimsy. The main emotional moment in this narrative comes when Julie and her husband get into a perfectly ordinary argument in which both of them are essentially right. But the big relief then comes when we discover their marriage is strong enough to overcome a trivial and resolvable disagreement. Hooray. By the way, this movie was very long. The Julia Child sections were more interesting, if only because of Meryl Streep’s brilliant portrayal of Child. Yet this performance, good as it was, bordered on shtick, and it was hard to take the whole thing seriously. This is often the problem with bio pics, in my view. It always comes down to how well an actor can impersonate the film’s subject, which is interesting for a few minutes, but not for the length of the film. This part of the film ended up feeling like a hurried précis, often without any real tension or drama, and only added to the overall feeling of the movie being way too long. 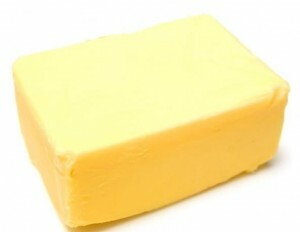 Toward the end of the film, the Julie Powell character visits the Julie Child exhibit at the Smithsonian, and leaves as an offering a pound of butter below Child’s photo. What seems like a clever idea, however, must eventually turn rancid. Kind of an apt metaphor for the movie, no? Far better, though not without flaws, was District 9. This sci fi allegory of racism and corporate greed had many problems, but I think it succeeded more often than it failed. The film, if you don’t know, concerns a very large group of aliens who live as refugees in a slum outside Johannesburg after their ship landed on earth 20 years earlier. No one understands why they don’t leave, though it is speculated that they come from some sort of heavily differentiated species, and the aliens on earth are workers, lacking a leader to tell them what to do. The creatures, which people call prawns (because of their resemblance to prawns), come across as violent, impulsive, and thoroughly unlikable. 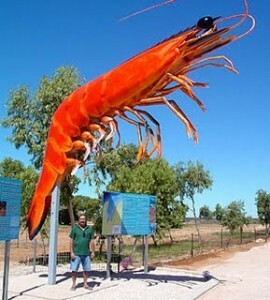 The movie never establishes what the difference is between prawns and shrimp, which I was hoping it would. Maybe in the sequel…. There is a lot to like about this movie, though it never makes things easy for the viewer. When District 9 stumbles, it is often because it is too daring rather than not daring enough. If the aliens are unsympathetic, the movie’s protagonist Wikus Van De Merwe (played by Sharlto Copley) is far worse – a self-absorbed, cruel, buffoon. Eventually one alien, known as Christopher, and his son, emerge as far more likable than the others (it is implied, though never stated, that they come from the leadership race of the species), and by the end of the film Wikus becomes more engaging as well, but by then our dislike of him is too deeply felt to care about his transformation. District 9’s larger statement – that we don’t have to like beings to respect their rights – comes through loud and clear, however, and in the film’s second half it makes some pretty engaging moves, including some cool action sequences and the satisfying buddying up between Wikus and Christopher. The film opens in mock documentary style, which I don’t love in general and I feel in this case worked to the detriment of the project. I also never bought just how isolated these aliens are. The only people in the world who have any interest in them are bad guys in a multinational corporation who want to exploit their weapons technology. I found it hard to believe their compound would not have been flooded with biologist, social scientists, linguists, astronomers and dozens of others who would want to learn from and about them. These were all minor points. In the end, District 9 wins as science fiction of the old school, in which ideas and intellect triumph over special effects and action – even if it had those too. 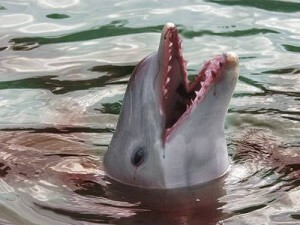 A dolphin, after feasting on careless zoo-goers. One of the stories that’s making it’s way around the interwebnet these days is about a woman suing the Brookfield Zoo, which I guess is in the Chicago area – for those who care about such things (I don’t!) – after slipping and falling near a dolphin exhibit. The story is being held up, by those who are holding it up, as an example of yet another frivolous lawsuit in the order of the famous McDonalds hot coffee suit. But hold on a minute, speedy. Let’s not jump to conclusions. Despite the McDonald’s hot coffee suit’s status as the king of bogus lawsuits, it turns out that it was actually a pretty legitimate case. McDonalds was serving their coffee not just hot, but insanely hot. The woman in question, Stella Liebeck, received 3rd degree burns over six percent of her body. McDonalds had received numerous complaints about the danger of serving coffee at almost 200 degrees, but never acted. Now there is an award named after Stella Liebeck – the Stella Award – for frivolous lawsuits. Seems unfair to me. As for this woman suing over the dolphin splashing, I’m not sure what to think. On the one hand, it’s easy to say sure, there are dolphins, they splash, the area will be wet and slippery. That’s life. On the other hand, if zoo management knows the area is wet and slippery, shouldn’t they take precautions? Put up signs, etc? You can legitimately ask how far we have to go with these signs, of course. Should there be signs at beaches warning: Use of beach may cause sandiness? I don’t know. I do think it is interesting how quick everyone is to get worked up over what they perceive to be a bogus law suit. Why does that get everyone’s proverbial (or literal) goat? As the corporate take-over or the planet nears its competition, it is worth considering that the law suit is one of the last remaining forms of redress available to the ordinary citizen. I say we should embrace it. None of this even addresses the problem of dolphins being criminally contained in a pool, slowly driven mad as their sonar bounces off the walls. We’ll save that for another rant. A history of Nottinghamshire. 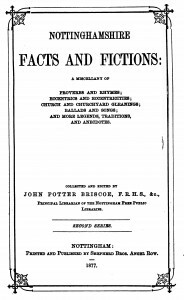 I found it on Google Books. Let’s take a moment, shall we? Lets. For what, you ask? To talk about digial books in the format other than the Kindle. The Kindle has broken my heart. The Kindle is dead to me, up until the point when I get a free one. Then it will be alive to me. Anyhow, the issue here is Google Books. People are suing Google Books so they will stop doing their Google Book thing. Honestly, I’m not sure I get this. I am all for keep a tight grip on my own intellectual property, but for books already in the public domain, I don’t see the problem. The truth is, for researchers who don’t happen to live next door to a major research institution, Google books is the greatest research tool ever devised. Ever. I don’t want fewer things available. I want more. If you do any sort of historical research and you don’t use Google Books, I suggest you stop not using it at once. And start using it. Right now, for example, I’ve been doing research on early 19th century Nottingham. Resources in San Antonio are pretty limited, but on Google books I can find and download tons of material – great 19th and early 20th century histories of the area. These are the kinds of loosely written, gossipy histories that are of limited use to real historians – you know, the people who need to get things right. 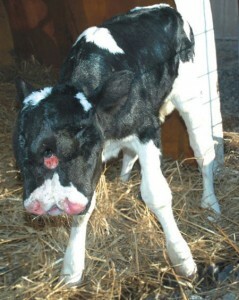 A cow with two heads. I did not find it on Google Books, but in all honestly, i didn't really look. To someone like me who just makes a bunch of crap up anyhow, it’s perfect. So as long as Google Books is helping make money, and not costing me money, I say we should leave them alone. And be nice to them. 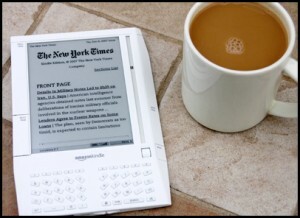 I am very much tempted to dump this picture of coffee over this picture of a Kindle. That's how I'm feeling right now. Do you remember when I told you that the people at Amazon told me they were doing their best to get me my free Kindle? Remember your joy? Remember how, as a loyal davidliss.com reader, you leapt out of your seat and ululated in triumph? Remember how you had to ring for your butler to bring you a glass of sherry to steady your nerves? You were that excited, right? So, where the hell, you may be wondering, is my free Kindle? The people at Amazon have said they would “do their best.” You know what People at Amazon, your best isn’t good enough. The time for tough talk – mine, not Amazon’s – has come. It is now. Right now. I’m not joking. This is me, talking tough. I’m seriously thinking of posting links to the Sony ebook reader. And what of the forthcoming Apple iBook ebook Reader. Amazon, is this a joke to you? Don’t push me. 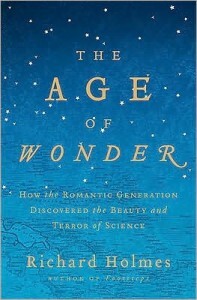 With no Kindle at my disposal, my delicate and very soft hands had to be sullied with paper and ink in order to read Richard Holmes’s The Age of Wonder: How the Romantic Generation Discovered the Beauty and Terror of Science. As many of you know, the research staff here at davidliss.com is busy cooking up all kinds of juicy tidbits on the romantic era for our next, collectively-written novel. Holmes’s book was one I wasn’t quite sure would be useful for my research. And it wasn’t! I was right. But it was still a great book, well worth reading just as, you know, a book. Not everything has to be about the research. Live a little. Holmes’s basic point is that the romantic era was not, as is commonly supposed, opposed to science, but rather inspired by it. This was a world of blossoming scientific inquiry and discovery, as well as one of exploration that opened up, as the title suggests, a world of wonders. The title suggests a single wonder, really, but there were several. Holmes writes about exciting times, and you can feel the excitement of his subjects in his prose as he moves from Tahitian exploration to astronomical discovery to exuberant French ballooning. Each chapter takes a particular subject’s life, and uses the biographical inquiry as means of examining not only this person’s area of inquiry, but the historical, philosophical, and cultural background of that inquiry. Fascinating discovery mixes effortlessly with human anecdote. Plus there are pictures. Anyone with an interest in the romantic period, the history of science, the turn of the 19th century, or just great, narrative non-fiction would be a freaking idiot to miss this one. Don’t let it be you. Today, it’s all about the love, people. To know me is to know that I am a huge fan of the films of Hayao Miyazaki. Near the top of any list of my all-time favorite films would be his masterwork Sen to Chihiro no Kamikakushi, which you, in your sad ignorance, probably refer to by its English title, Spirited Away. This one time I will forgive you your cultural insensitivity. Film like My Neighbor Totoro, Howl’s Moving Castle, and Kiki’s Delivery Service are great favorites in my home. Some of his other movies don’t cross the culture barrier quite so effortlessly, but his work is always brilliant, beautiful and compelling. 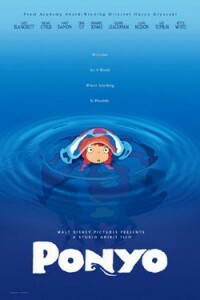 This weekend I went to see his new movie, Ponyo, which did not disappoint. Everything I’d read suggested that it was his most child-friendly movie since My Neighbor Totoro, so we brought on not-yet-three-year-old son (a big Miyazaki fan) along for his first theatrical experience. A great success all around, by the way. Close observers of my son’s behavior noted patient-sitting and not too much shouting at the screen. The movie suffers from some of the rapid-fire plot moves that Miyazaki often relies on, though unlike in some other movies, these developments seem rushed rather than incomprehensible. What matters is that all the things you want in a Miyaxaki movie are all here: touching, well-drawn characters willing to accept the wonders they discover in their world; and beautiful, hand-crafted animation. The film is chock full of references to his earlier works, so it’s sure to please the fans, but it is also one of his most accessible films and a great introduction to new, especially younger, viewers. Also… to know me it to know that I love Guided by Voices and, to a necessarily lesser extent, former-front-man Robert Pollard’s other work. Pollard is famously prolific, usually releasing at least two solo CDs a year along with several more side project CDs, EPs and singles. I listen to everything he does, but not all of it, I am sad to say, is as good as I’d like. I’ve tended to feel that he could combine the best material from every two or three CDs to put together a single good one. More than that, he’s gotten into some sloppy habits, contributing only lyrics and vocals to a lot of the side projects, writing songs that are way too long (Guided by Voices could generally get in and out of a brilliant song in under two minutes), and sometimes shocking devoid of the hooky sensibility that made GBV what it was. 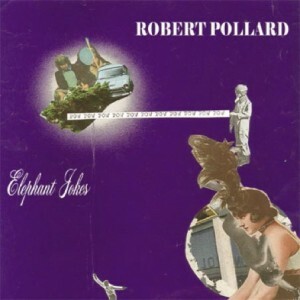 So, I’m happy to report that Pollard’s latest, Elephant Jokes, is easily his best effort since the break-up of GBV. Short, hooky songs (most under two minutes, and certainly none of the 4 – 5 minute monsters from recent releases), are the order of the day. Pollard actually plays guitar here, and that makes all the difference. In recent months, Pollard has frequently said that he’s been re-energized by his new band Boston Spaceships, and those CDs do represent some of his better moments from recent years, but Elephant Jokes is really the most vital and vivid we’ve seen Pollard in years. Hooray. Here it is, folks. 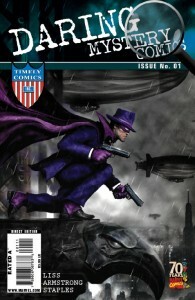 The final cover, by the awesomely talented Clint Langley, for my forthcoming comics debut. On sale September 2nd. I began working with Marvel on this almost a year ago, and now I have a new project brewing with them, as well as a couple of other things I’m trying to develop elsewhere. When all this started, I’d been away from comics for a long time, and so I’ve had to immerse myself in an effort to learn the craft from some of the best writers working today. I thought it was time I told you about some of my favorites. This is by no means meant to be a definitive list of the best graphic novels available. I’d already read many of the giants in the field years ago, and there are many more great books I want to read that I haven’t had time for yet. This is merely a list of the things I’ve enjoyed most in the past year of comics cramming. For those of you who don’t read comics and are curious, keep in mind that all publishers now put out bound trade paperbacks of their titles. These usually comprise five or six issues each, and they’re an easy, economical way of catching up. 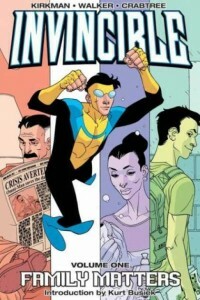 Robert Kirkman is easily one of the best writers out there, and it’s very possible that my favorite on-going series is his Invincible. What begins as a fairly routine tale of a teenaged superhero quickly turns into a wrenching emotional narrative. Kirkman manages to strike an incredible balance between intense drama – and the strength of this series is that it is driven by the character’s and their relationships, not by action – and broad comedy. Many of the characters are cheeky nods toward canonical DC figures, and somehow Kirkman’s serious and ironic sides are never at cross purposes. 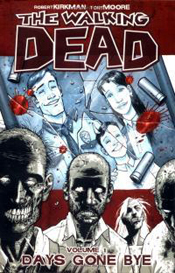 The other Kirkman title I’m following is Walking Dead. The truth is, I have no driving interest in zombie stories. When my friend John Minton, who runs the terrific Atomic Comics in San Antonio, put the first collection in my hands, I bought it mainly to be polite. Then I was hooked. Tony Moore’s stark, black and white illustrations provide the perfect accompaniment for Kirkman’s razor sharp scripts. This is a painful, harrowing, very human story of a struggling band of survivors in a world in which almost everyone has turned into a zombie. Many aspects of the set-up are fairly standard to the genre, but the characters themselves, and things Kirkman subjects them to, are always, fresh, original and daring. It’s not for the squeamish, but it is truly great story-telling. 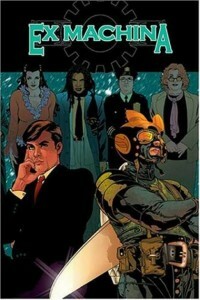 Brian K. Vaughan is probably best known for his series Y: The Last Man (which I have not yet gotten to, but it is high on my list), but I absolutely love his series Ex Machina, about a former superhero who becomes mayor of New York City. Dramatic, exciting, and often very witty, this is the perfect combination of municipal politics and science fiction. Great art by Tony Harris. 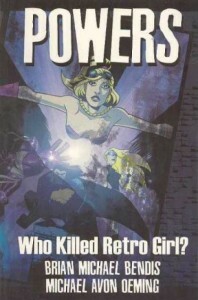 Powers, scripted by Brian Michael Bendis, is comics noir, a police procedural set in a gritty world or superheroes and super villains. This is the story of two police officers, one of whom is a former superhero, who investigate crimes in the superhero community. Blunt, stark, and often jarring, it is buoyed up by Bendis’s trademark witty dialogue. This is very accomplished crime fiction. 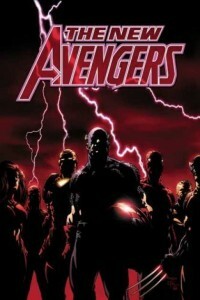 Bendis is also the author of New Avengers and Dark Avengers, both of which I follow. I started reading New Avengers because it seemed like a good way to get up to speed with the Marvel continuity, but I was drawn in by Bendis’s engaging dialogue (reminiscent of Justice League America in the Giffen and DeMatteis days). To be perfectly honest, the past few issues of New Avengers seem to be treading water, but the first few bound collections are great stuff, and I’m hoping things will rebound. Even when I read comics as a teenager, I always figured Captain America would be impossibly dippy and never cracked the cover of a single issue. But after just about everyone I know who follows comics told me that Captain America was the best mainstream superhero title going, I had to check it out. 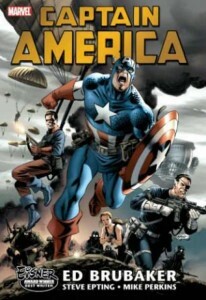 There’s no better place to start than volume 1 of the Captain America Omnibus, featuring the first 25 issues scripted by Ed Brubaker and drawn by Steve Epting. This is serious espionage – a tense, often cynical ride though the Marvel universe. I’m not going to lie to you. I’m totally phoning this one in today. It’s late and I’ve been working on a million different creative projects. I am too tired to blog, but I must blog. That is the contract I have made with you, my adoring fans. Thank you, by the way, for your adoration. I am enjoying it. Here. Read this book. It’s very funny. Anyone who follows publishing, looks at the bestseller lists, and thinks most popular books are crap will love this. I loved it. Everyone I know who writes loves it. People who read will love it. There’s a whole lotta love out there, and some of it could be for this book. Don’t buy it instead of my book. Buy it in addition to my book. Or get this one from the library. Good night. 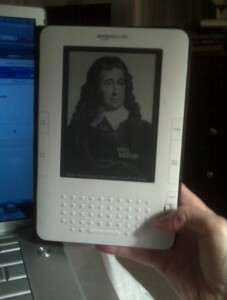 A picture of Milton on the Kindle. Because I found it on the internet. Sunday’s New York Times Book Review included a cheerful and kindly description of The Whiskey Rebels in its paperback roundup. Always nice, of course, but in this case particularly nice since you may recall that the actual review of the book was a right-wing hatchet job full of factual error and douchebaggery. Nice job of setting the record straight, NYT. 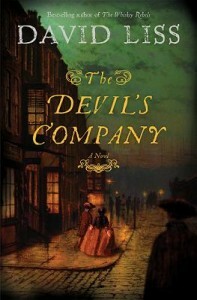 Now, how about a fair-minded review of The Devil’s Company? Something sooner than seven months after publication if you please. 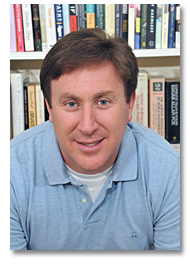 The justly-humiliated author of that review was named Walter Olson. On a completely unrelated subject, I just finished proofing my short story for the forthcoming zombie anthology, The New Dead, and I’m quite happy with it. The story, called “What Maisie Knew,” is about a morally suspect character named Walter Molson. As I say, these two subjects are unrelated. 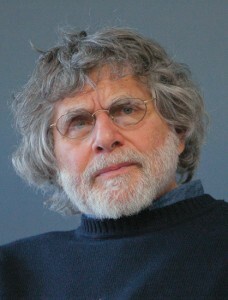 Alan Cheuse. Also from -- that's right -- the internet. Speaking of reviewers who bug me, did anyone see Alan Cheuse’s review of Stieg Larsson’s The Girl Who Played With Fire in The San Francisco Chronicle? I’m undecided if I am going to read this book or not. I forced myself through the previous book in the trilogy, The Girl with the Dragon Tattoo, and was under-whelmed. On the other hand, you have to respect a book written by a dead Swede no one has ever heard of that becomes an international phenom. Also, the new one is alleged to be better and to feature more prominently the character, Lisbeth Salander, who was really the only interesting thing about the first book. Anyhow, I have a long-standing hostility toward Cheuse, a regular book reviewer on NPR, because he’s never reviewed my books on NPR. Reason enough to put him on the list, I know, but in his review of the dead Swede’s work, Cheuse writes, “The books are so good, in fact, that I have to keep reminding myself that they are genre novels, not mainstream fiction.” Now, the hundreds of thousands of you who read this blog regularly will recall I commented very recently on this issue of how seriously the world takes genre fiction, but this comment takes the cake. Am I supposed to believed that quality is exclusive to mainstream fiction alone? Would a reviewer ever write that I had to keep reminding myself that this bad novel was mainstream fiction because he thought crappy writing and shallow characters were the province of genre fiction alone? It’s one thing to expect inferior writing in genre fiction, quite another to presume inferior writing is a necessary characteristic of genre fiction. Perhaps Cheuse doesn’t read very many crime novels, but if that’s the case, he ought to have refrained from comparing one writer’s work to something about which he knows very little. I also think he ought to review The Devil’s Company on NPR. Who’s with me? After “What is your problem?” and “Will you please stop bothering me?” the questions I am most commonly asked concern my work habits. After all, productivity is about finding the secret that only a few writers have discovered. Really, there is only one right way, and it’s mine. Now I’ll share it with you. You’re welcome. A few years ago I found I no longer enjoyed writing at home. I needed some ambient distraction, and I took to writing in various coffee shops around town. All but the one I currently patronize have since closed down, so we can conclude that once I stop doing my writing in a coffee shop, it’s days are numbered. It is therefore in the best interest of the management of Olmos Perk to keep me happy. Cat-themed latte art by Bridget. She doesn't even like cats. How's that for service! And they do. 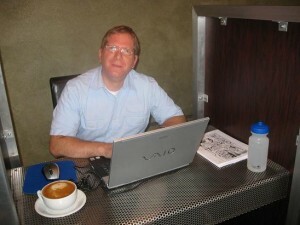 First of all, there’s the coffee, provided by the good folks at Kiva Coffee Roasters. At home I drink my coffee black, but there’s no resisting OP’s awesome west-coast-style latte’s, which they lovingly (on some days likingly, and once in a while begrudgingly, but you have to really make the baristas angry first) hand-crafted with all kinds of nifty decorations. This is unambiguously the best latte in town. Then there are the actual working conditions. There are four cubicles in the back, one of which is mine. They reserve it for me. I am special. My summer schedule is a bit irregular because it is based on my daughter’s camp hours, but during the school year I arrive at about 8 and stay until noon, and which point I am too over-caffeinated and hungry to keep working. Bridget, who has a last name that looks hard to pronounce; Sarah, who was recently married; and Joseph who is quiet in a way that makes him seem cool and not creepy. During this time, Olmos Perk’s excellent staff of baristas, sales associates, customer liaisons, and caffeine-consumption facilitators, take excellent care of me by making sure I have a latte if I need one, engaging in small talk, asking polite questions about my work and then pretending to be interested, insisting I entertain them with witty tales (they have a particular fascination with stories about rodents –don’t ask me why). Sometimes they mock me and I pretend to be a good sport. Then there are the other regulars. Friends, fellow writers, affable regulars, the people I pretend to like but secretly don’t, the people who pretend to like me but secretly don’t, the people who don’t like me and are openly hostile – there’s a wide variety to choose from. 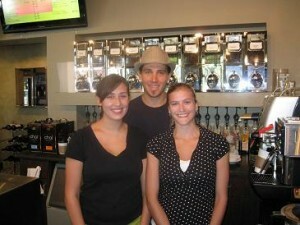 Iris, my ex-barista, and one of the original OP morning crew. Back when I worked at home, small talk was limited to conversation with my cat, but there’s only some many times you can ask him, “Who’s a handsome boy?” before things start to get a little dull. Now, much to my own surprise, I’ve found I enjoy being around other people. A few years ago I received an email from a bookseller with whom I’d traded a few friendly messages. This time she wrote because she was bursting with excitement over a novel she’d read and she felt sure it was the sort of thing I’d like. The novel was The Book of Joe by Jonathan Tropper, and it was, at the time, the best book I’d read in a good long while. 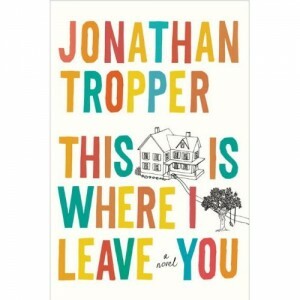 I’ve been a huge Tropper fan ever since, and I have to say that his new book, This is Where I Leave You, is easily among the best of what is already a distinguished body of work. Also, his books are screamingly hilarious, touching, very human, written with a kind of skill that appears effortless but we all know isn’t. This is one of those books that will keep you up way past your bedtime, not with plot twists and surprise developments, but because the writing is so incredibly absorbing and enjoyable. Did I mention his books are screamingly hilarious? 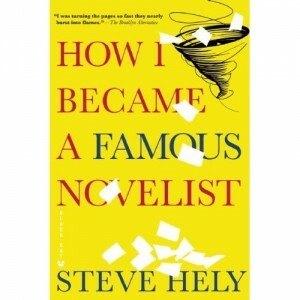 Like many of his novels, This is Where I Leave You, places vivid and funny characters in fragile and emotionally fraught situations. In this case it’s Judd Foxman who is still recovering from a humiliating break-up with his wife (he catches her cheating on him with his boss, a brazenly Howard Stern–esque morning DJ) when his father dies and he must return home from the funeral. Judd had a distant and strained relationship with his father, and relations with his mother, a famous child psychologist, are not much better. His two brothers are both, though very differently, difficult people, and while he gets along well with his sister, she has marriage problems of her own. It all sounds overbearing and depressing, but it never even gets close. Tropper pulls this off with humorous wind-ups, deliciously awkward situations, emotional confrontation, funny set-pieces, and a healthy smattering of restoration comedy material. It is part of Tropper’s genius that he manages to find the perfect balance between funny and poignant, and never does the humor threaten to devolve to farce. Sentence by sentence and page by page, this book is an absolute delight to read, and it left me wishing that there were more books like this in the world. If you buy only one hardcover this year it should be The Devil’s Company. No about it. That’s a great book. But if you buy more than one, top of this list should be This is Where I Leave You. No joke. This gets the absolute highest recommendation I can give a book not written by me.